Sunbrella®is the number one marine fabric. The rich colors are solution dyed so they can’t wash out. Plus, they resist fading and remain beautiful for many years. Sunbrella is breathable, water repellent, mildew, and UV resistant. It carries a five-year limited manufacturer’s warranty. Aqualon Edge® is a hybrid marine fabric from Trivantage®. Featuring Perfecta Marine® technology, the material provides superior heat reduction, heat reflection, and UV resistance. For optimal performance, the canvas fabric resists water, mildew, rot, peeling, cracking, and fading. 1000 Denier, a super tough woven DuPont high-tenacity nylon with 1.0 ounce urethane coating for durability and water repellency. Excellent resistance to abrasion, fading, rot, and mildew. Cordura® is water repellent and quick drying. Cordura® has a high tensile strength making it tear resistant. Made in the USA. Durable water repellent 430 Denier Nylon Pack cloth with 1.0 ounce urethane coating. Lightweight, long lasting, easy to maintain. 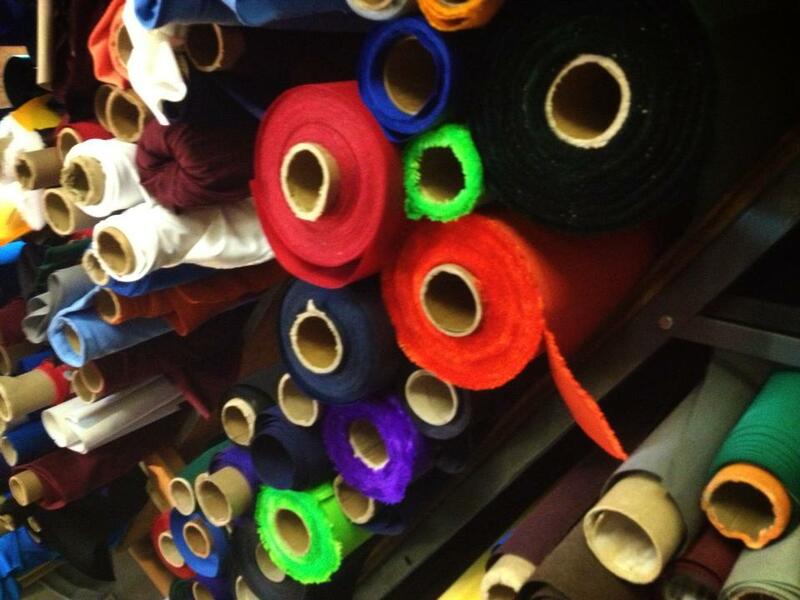 We use only the best marine fabrics. To keep your covers in great condition and extend the life of your cover follow these care and cleaning instructions. Contact us with any questions. Some marine fabrics can be bleached and others cannot so follow the instructions from your specific fabric or check the manufacturers website. As always contact us with any questions about how to care for your Burnham covers and cases. Proper care and maintenance is important if maximum life of the end product is desired. Routine care is quite simple, but certain procedures are recommended. Keep dirt, leaves and other debris from accumulating on the fabric surface. Washing down with a garden hose on a bright sunny day is recommended about once a month. To remove dirt from either side of the material, use a soft brush and a mild soap solution (such as Ivory®). Do not use bleach. Rinse thoroughly with clear water and let dry completely before storing or rolling. (If accidental tears occur, repair them as soon as possible). Do not store or roll up while wet. Be sure to clean and dry before storage. Mildew can grow during storage if moisture is present. What is the proper care for products/garments made with CORDURA® fabric(s)? Products made with CORDURA® fabrics are made to last, and are generally easy to care for. First, always look for and follow the garment care label instructions. Avoid chlorine or bleach based cleansers. Apparel or small items: Wash on low temperature setting using mild detergent. Either air dry or dry on low setting. Avoid chlorine or bleach based cleansers. Oil or grease should first be treated with a dry cleaning solvent followed by a spray cleaner or detergent and water. Avoid chlorine or bleach based cleansers.